As a disclaimer, I don’t own this book, nor have I read it. I just feel it’s important to publicize these sorts of resources. 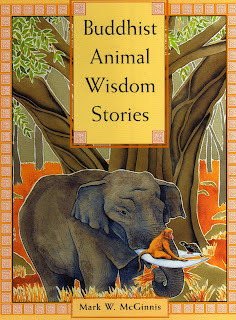 Last year, Tricycle published a young writer’s short list of favorite Buddhist children’s books. I have found many more elsewhere using the usual tools. There has been considerable recent discussion in the American Buddhist community about what the next generation will look like. Meditation centers, magazines, retreats and teachers must grow and adapt to relatively younger ranks of practitioners. But the essential future of the American Buddhist community is with those who are currently its youngest members. They are the ones who most deserve our attention.